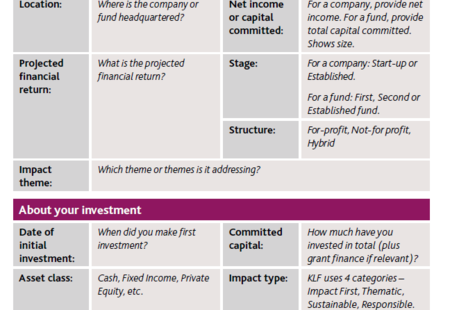 This is a collection of Building Blocks focused on best practices for Impact Investors to have confidence that their investments are likely to create impact. Please contribute Building Blocks that you know of! You will need a user account to do that. 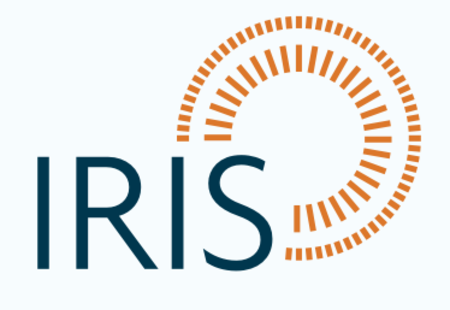 IRIS is the catalog of generally-accepted performance metrics for the impact investing industry. Why IRIS? One-stop-shop: By cataloging the most useful metrics from across the industry in one place, IRIS takes the guesswork out of which performance metrics to use. Aggregate and Compare: By providing a standard common language to talk about results, IRIS makes it easier to compare investments and aggregate information across a portfolio. Increase Credibility: 98% of investors recognize the importance of standardized metrics and over 5,000 organizations are using IRIS to evaluate, communicate and manage their social and environmental performance. Reduce Reporting Burden: IRIS doesn’t reinvent the wheel and incorporates and aligns with widely accepted 3rd party standards wherever possible. Organizations can use IRIS as the anchor for their diverse reporting requirements. In order to understand the impact of individual investments, be they funds or direct investments, we have created impact dashboards. These provide an investor with all the information they require to look at each investment and understand the impact their money or support is having on both the investee itself and the beneficiaries or issues the investment is set up to help. We have created a this template with explanations of each category for investors to apply to their own portfolio. One of the questions investors often ask is how do you understand whether the impact achieved is enough? If a company or fund claims to be changing the lives of 600,000 farmers per year, or avoiding 10,000 tonnes of CO2 emissions, or saving under-banked consumers $2bn through innovative savings products, what does this data really tell you? 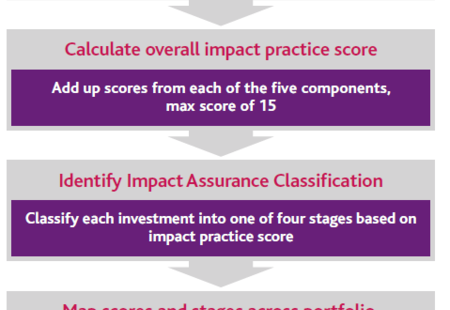 If you have targets set at the start of an investment, you can potentially assess impact achieved against those targets. But that isn’t always possible, especially if you are assessing the impact some years after the initial investment was made. And in many cases, particularly for early-stage ventures, those targets can be missed for very good reason as the business develops, and new ideas are tested—some of which fail, while others go on to be successfully scaled. Ten years ago, the microfinance industry was exactly where the impact investment community finds itself now. We prided ourselves on the “double bottom line”—delivering meaningful social performance while operating on a financially self-sustaining, even profitable, basis. Great efforts were underway to measure financial performance. But—and stop us if any of this is sounding familiar—with a few notable early exceptions, no one was measuring social performance. No one was even defining the term. 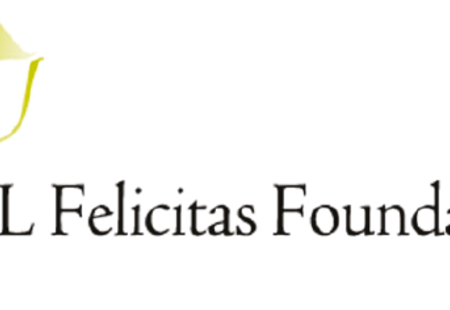 It was simply taken for granted that if a financial institution said it had a social mission, it was serving poor people well. In short, social performance back then, like impact investment today, meant whatever anyone said it meant. The Social Progress Index is part of the Social Progress Imperative which is focused on guiding social investment. The vision of the Social Progress Imperative is a world in which social progress sits alongside economic prosperity as a measure of a sustainable society. 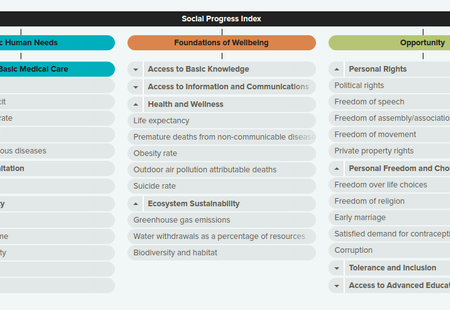 the Social Progress Index has been used to measure the Social Progress of nations and regions around the world. With SPI we can identify positive deviance and then work to uncover best practices that led to that over-performance and then Impact Investors can invest in those areas with a strong logical connection to potential impact. 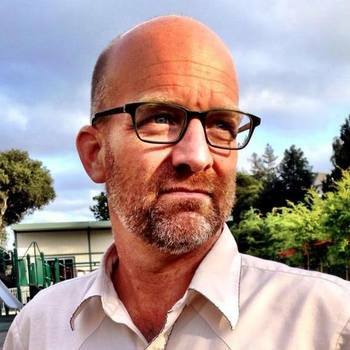 ​As part of promoting the sustainable development impacts of global supply chains, the Sustainable Food Lab facilitates a community of practice on performance measurement in smallholder supply chains. The community of practice brings together companies, development organizations, lenders, and certification organizations to share cases and lessons and to develop consensus on a common approach to smallholder performance measurement.